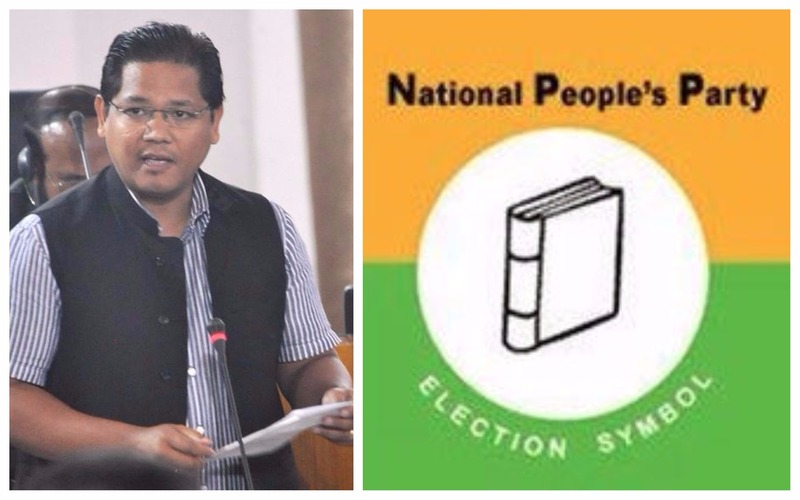 National People’s Party (NPP) general secretary in charge of Arunachal Pradesh, Thomas Sangma, on Tuesday hinted that the party would try to field candidates for at least 30 to 40 seats in the 60-member Arunachal Assembly. Sangma said this while addressing media persons at a city hotel in Itanagar on Tuesday evening. “We will form our own government if we win in all the seats,” Sangma said while denying any pre-poll alliance with other parties for now. On Tuesday, a large number of BJP leaders including State home minister Kumar Waii and tourism minister Jarkar Gamlin and sitting BJP legislators Thangwang Wangham, Tapuk Taku, Pani Taram, Pangka Bage, Wangling Lowandong and Kardo Nyigyor and former BJP general secretary Jarpum Gamlin and ex-minister Tsering Jurmey joined the NPP. A total of 18 other public leaders also joined the party on Tuesday evening. Clarifying his stand behind joining the NPP, Waii said that it is the only party that represents the entire northeastern region. “Under the strong leadership of Conard Sangma, we hope to have a Prime Minister from the region in the future,” he said. Waii also alleged the BJP of being a party with wrong ideologies and one with full of lies. “Had the BJP been right, I would have still been in the party. The ideology of the party is to term the country first, then state and then individual, but, when it came to distribution of tickets, we could see a good sign of family politics,” Waii said while referring to Arunachal Pradesh chief minister Pema Khandu without naming him. He said that he was still confused over the fact that the party had given 3 tickets to one family and where that vision was that of Prime Minister Narendra Modi or that of CM Khandu’s. Waii also said that NPP is a secular party unlike the BJP. Jarpum Gamlin said he was left with no choice other than choosing his people. “Being a leader you represent your people so I chose them,” he said while adding that he was till recent under the impression that he was still in the run-up for the Assembly tickets. NPP legislator Mutchu Mithi claimed that the NPP has its own ideologies and agendas which are pro-people and the same would go long way in keeping the interests of the indigenous people intact. It is pertinent to mention that all the sitting MLAs including Jarpum were denied a party ticket by the BJP which on Sunday declared the names of candidates for the 54 seats in the 60-member Assembly. Where Jarpum had resigned from the party on Monday expressing that he couldn’t let down the expectations of his supporters, Waii had on the other hand blamed Chief Minister Pema Khandu of not giving him the ticket as he allegedly thought of his as a CM candidate. The NPP is expected to announce the final list of its candidates by Wednesday.